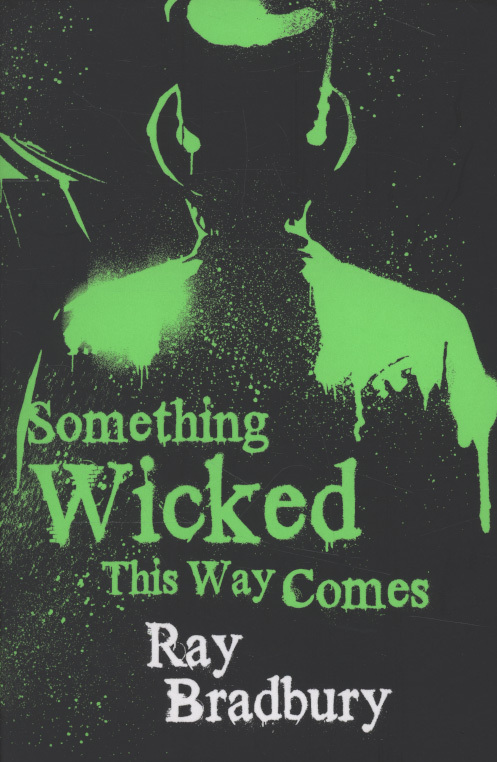 Last year, when Lu from Regular Rumination brought up the idea of reading Something Wicked This Way Comes alongside The Night Circus, I immediately knew I had to join her. I’d loved The Night Circus and already wanted to revisit it, and I’d been terrified of Something Wicked since watching the movie in early adolescence. Putting the two together seemed like a fantastic idea, though my only association between the two was that they were atmospheric, fall-like books. Now, having read them both, I understand better why Lu associated them – the common element of a mysterious circus that arrives at night. Will and James are next door neighbors and best friends. A mysterious circus arrives in their town one October, a few weeks from the boys’ 14th birthday. The two of them start to explore, only to discover that the circus is not what it seems on the surface. Back in middle school, my teachers spent a lot of time showing us movie versions of classics rather than having us read the classics themselves (I went to a terrible school). A couple of those movies – Fahrenheit 451 and Something Wicked being the foremost – disturbed me so badly that I spent years afraid to revisit either story in their original form. (Ironic that they’re both by the same author…) A few years back, I finally overcame my fear of Fahrenheit 451, and now, I knew it was time to do the same with this book. I had blocked most of my memory of the movie out – didn’t even remember there was a circus involved! – and could only remember something about little boys hiding in dark houses and something about beetles or spiders that creeped me out a lot. Yes, my memory of it is that vague, which is probably why I was finally able to pick up this book and read it. I enjoyed it from the very beginning! There were definitely parts that still creeped me out, particularly when it came to the aging sections. Rapid aging (or the reverse) is a particularly disturbing topic for me. But for the most part, I was delighted by the creepy atmosphere and hooked on the story. The exception came in the last quarter of the book, when suddenly Will’s father goes on a many, many paged philosophical rant that was sooooo very dull. I ended up skimming most of that section. And then after that, the rest of the book seemed sort of scattered and fragmented. I can’t tell if this is because I missed critical themes during the philosophical sections, or if the plot just splintered a bit at the end. So in the end, I enjoyed the book a whole heck of a lot more than I did the movie when I was a kid, but I don’t see it becoming a favorite or a reread contender in my future. A year ago, when I first read and reviewed this book, I refused to put up a summary, because I felt like any summary, no matter vague or minimal, cut into the enjoyment of experiencing this book for the first time. For those same reasons, I will say nothing about the plot here, and just move on to my personal experience of this reread and first-time audio listen. Honestly, I think I was more afraid to read this book than Something Wicked, not for the disturbing/creepiness factor, but because of how much I loved it a year ago. 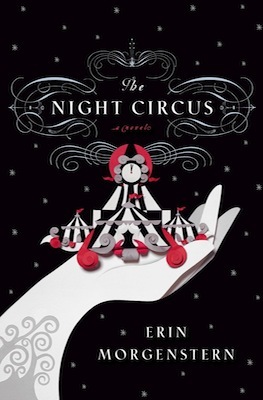 The Night Circus was, hands down, the very best book I read in 2011. It wasn’t just that it was gorgeously written, with a tightly-woven nonlinear plot and brilliant multifaceted characters. The Night Circus sparked something in me, and suddenly, for the first time in almost a year, I wanted to write again. I’d spent the last year in a sort of limbo, no longer knowing if I still wanted to write and aim to eventually be published, but after this book, I knew. I went on to plan and execute my best manuscript to date over the next six months. So when I began my reread of The Night Circus this year, I was terrified I would discover that all of that, all the influence and all my love for the book, was simply a case of right place right time. I didn’t want to discover that the book only felt mediocre and flawed to me on reread. You may tell a tale that takes up residence in someone’s soul, becomes their blood and self and purpose. That tale will move them and drive them and who knows what they might do because of it, because of your words. And really, all I can say is thank you, to the author, to the book, to the story, to the narrator of this audiobook (Jim Dale, who was fabulous), to the publisher, to the people who told me to read this book, for giving me something that has, indeed, taken up residence in my soul. I am so happy to have revisited the Circus, and I’m sure I’ll be back again. This entry was posted in 2012, Adult, Prose and tagged atmospheric, audio, callback, circus horror, classics, favorite, historical, memorable, place-character, readathon, reread, RIP-worthy, speculative. Bookmark the permalink.